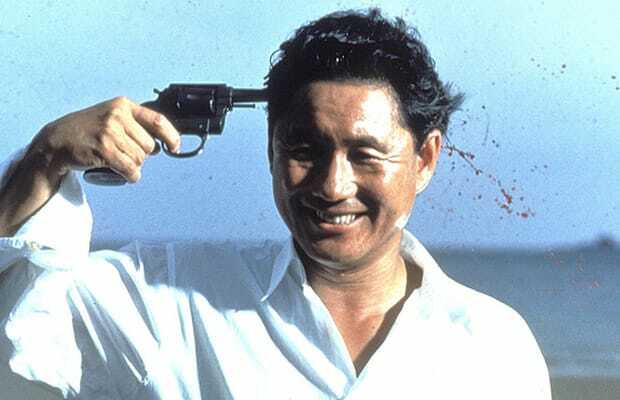 Sonatine is regarded by many critics as Takeshi Kitano's best film. The writer-director also stars in the picture, playing Murakawa, a Tokyo yakuza whho's grown tired tired of the gangster lifestyle. Murakawa is sent to Okinawa to negotiate a dispute between two rival clans, but he soon realizes that the order was a ploy to have him and his men removed. After fighting off a bunch of assailants, Murakawa and his colleagues find refuge in a beach house, where things only get worse. Let's just say that, soon enough, Murakawa acquires a colt commando and sprays everyone who betrayed him. This classic arthouse flick ends quite bitterly, but achieves an elegant veneer through Joe Hisaishi’s masterful soundtrack and Kitano’s stoic charm, certifying the filmmaker as a true G of the genre.